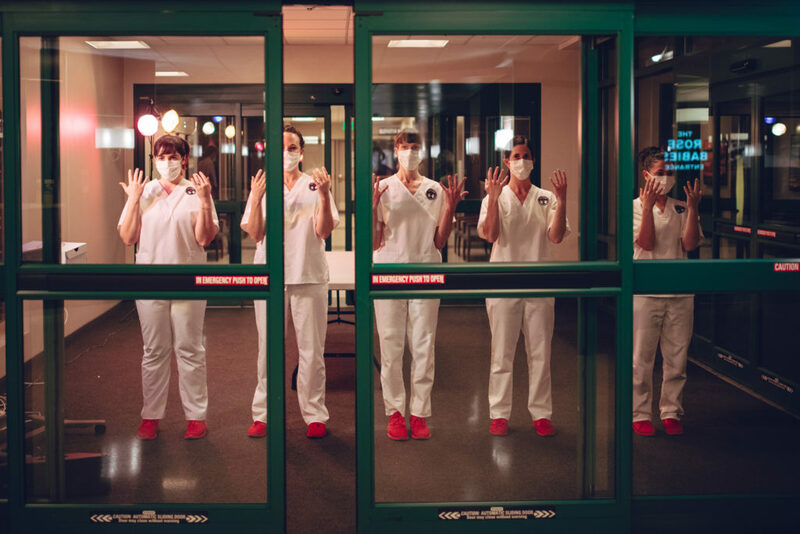 As an A Blade of Grass Fellow, artist and nurse Tara Rynders will expand First, Do No Harm and The Clinic, a site-specific immersive performance and workshop for nurses designed to bring arts-based practices into hospital settings. 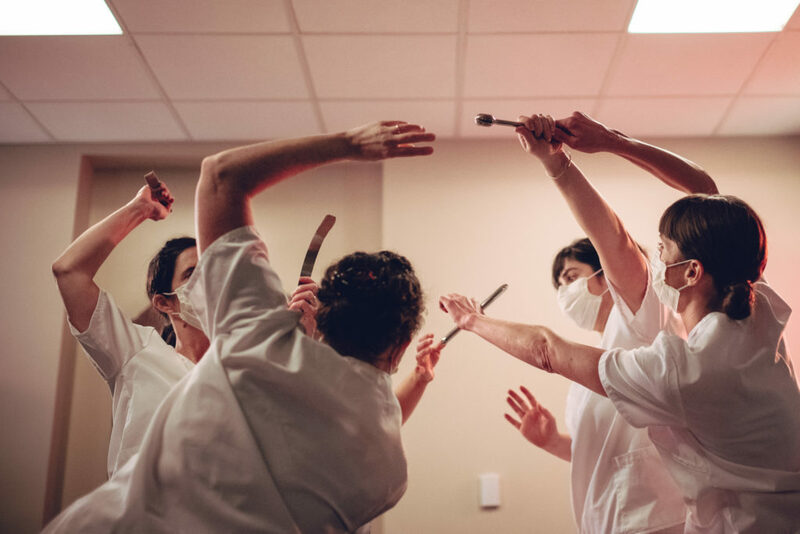 The Clinic workshop will offer nurses at Denver area hospitals a variety of arts-based healing practices to help nurses work against compassion fatigue and more effectively care for and connect with their patients. In the performance First, Do No Harm, written in collaboration with Edith Weiss, director Tara Rynders and co-directors Lia Bonfilio and Jadd Tank, along with nurses, actors, dancers, and musicians, will explore topics like grief, loss, and compassion fatigue from the perspective of nurses and patients’ families to bring to light the emotional work of caregiving, and to create a community-building arts experience in a hospital setting. 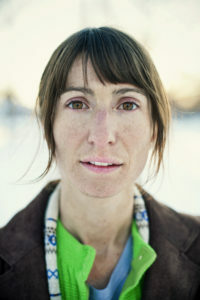 Tara Rynders has been a registered nurse for fourteen years and received her MFA in Dance in 2011 from The University of Colorado at Boulder. 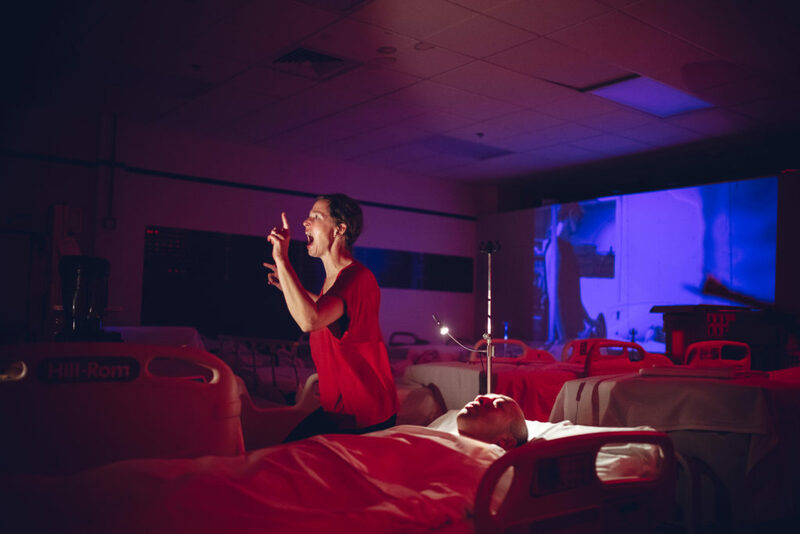 Rynders believes that her work as a nurse and performer are symbiotically intertwined and are not as different as one would think. 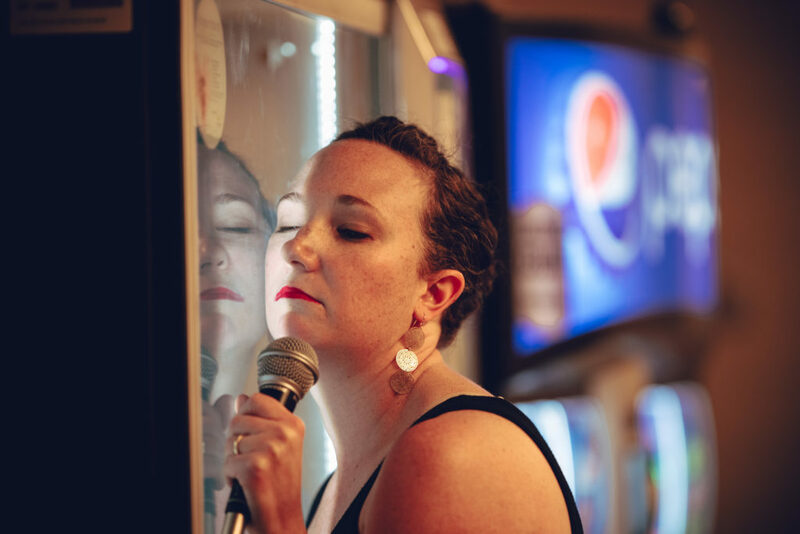 Drawing from the intimacy and vulnerability found in her work as a registered nurse, Rynders creates authentic connections through performance that allow guests to feel seen, heard and inspired to create alongside her. 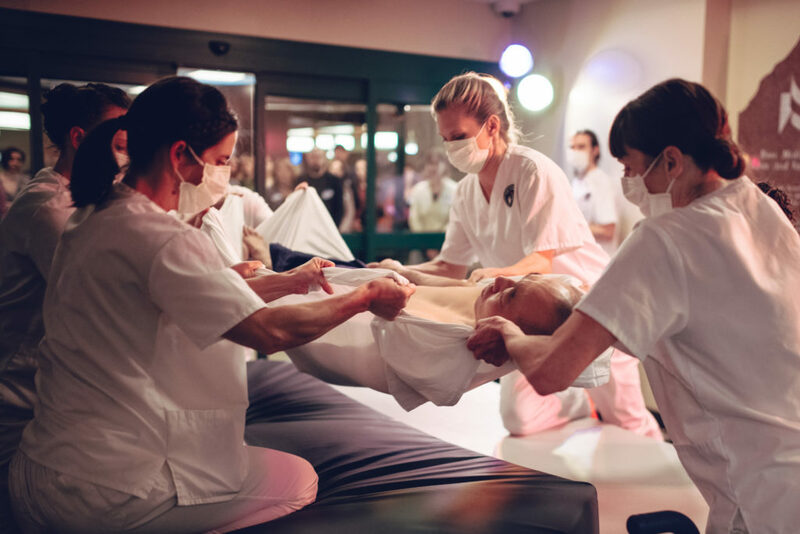 She does this through large scale immersive performances in site-specific locations, with her most recent work performed in an active hospital setting. Based on this work, Rynders is extremely honored to be an A Blade of Grass Fellow, an Arts in Society grantee, a two time Nightingale nominee, a Nightingale Luminary, and the recipient of Rose Medical Center’s excellence in nursing award in compassionate care. Rynders is grateful to all her collaborators who have helped to make The Clinic and First, Do No Harm possible. She is grateful to continue her art in the hospital setting by supporting nurses, giving voice to the incredible work they do, and bringing awareness to compassion fatigue and moral injury. Rynders strives to live by the words of the pioneer nursing legend Florence Nightingale, “How very little can be done under the spirit of fear.” She thanks her partner and family for daily exploring this life with her and appreciating the gift and privilege of growing older every day. First, Do No Harm Meet the Team: Opening operation scene introductions with performers Kate Speer, Maegan Keller, Tara Rynders, Cortney McGuire, and Rowan Salem. Photo by DW Burnett. 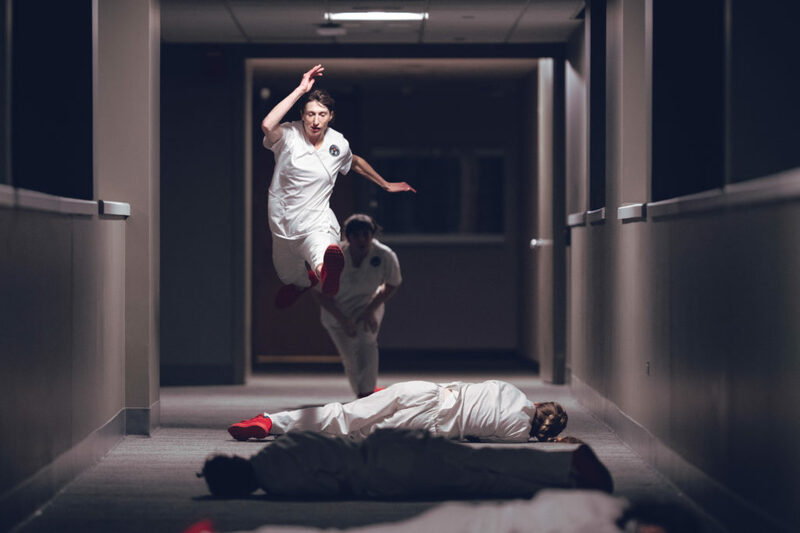 First, Do No Harm Bridge Dance: Performer Tara Rynders running through the halls exploring the exhaustion, grief, and compassion fatigue that arises in the complicated roles nurses play with patients, doctors and other nurses. Photo by DW Burnett. First, Do No Harm Compassion Fatigue Monologue: Performer Maegan Keller speaking to the unrelenting grief that builds in the body over time and the ways nurses have learned to cope with this grief. Photo by DW Burnett. First, Do No Harm performers Tara Rynders, Julie Rooney, Cortney McGuire, and Rowan Salem transferring patient onto operating table. Photo by DW Burnett. 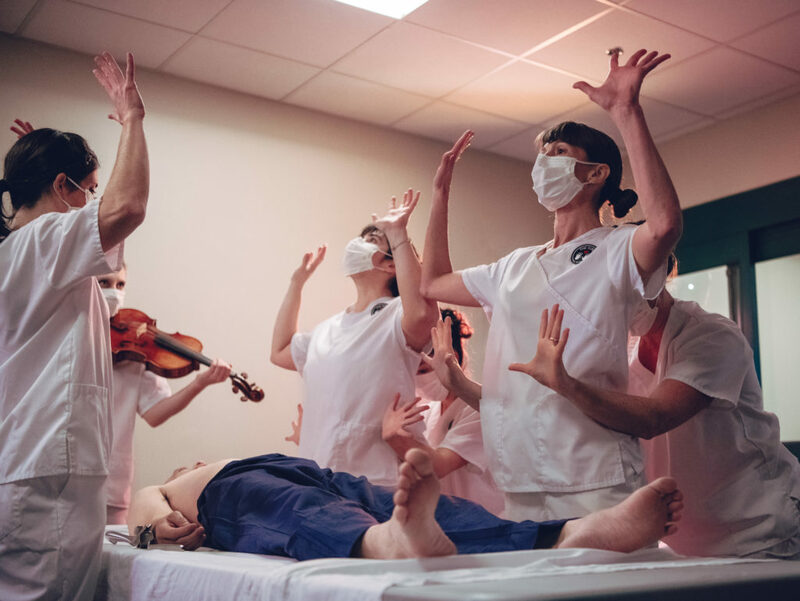 First, Do No Harm Opening Surgery Dance: Performers Cortney McGuire, Julie Rooney, Kate Speer, Tara Rynders, Rowan Salem, and Maegan Keller explore the nurses ability to grow additional arms in order to complete the many tasks needed in patient care. Photo by DW Burnett. First, Do No Harm Operation Scene: performers Cortney McGuire, Maegan Keller, Kate Speer, and Tara Rynders passing instruments as they explore the teamwork needed between nurses as they prepare for surgery. Photo by DW Burnett. First, Do No Harm Nurse Tara Rynders initiating CPR on patient with patients wife performer Kristine Whittle. Photo by DW Burnett. First, Do No Harm Room of Beds: performer Kristine Whittle speaking to the numerous frustrations and regrets she is facing as her partner is in a coma. Photo by DW Burnett. 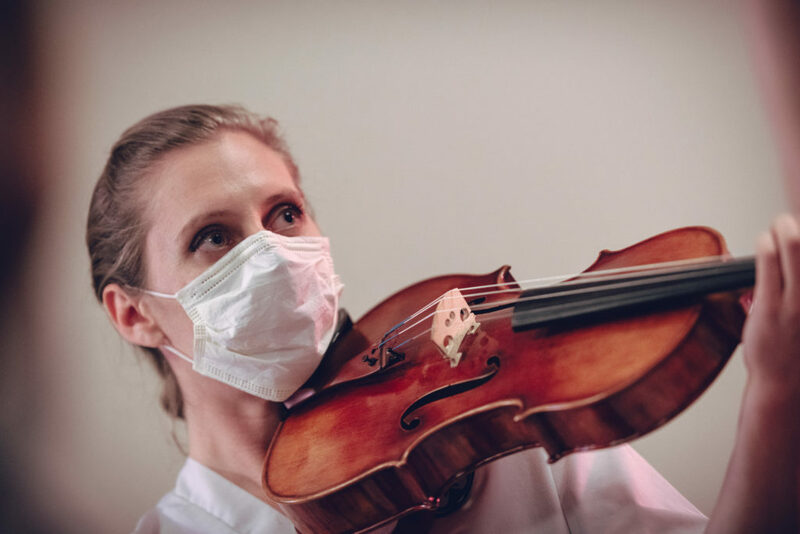 First, Do No Harm performer Julie Rooney conducting surgery through her viola. Photo by DW Burnett. 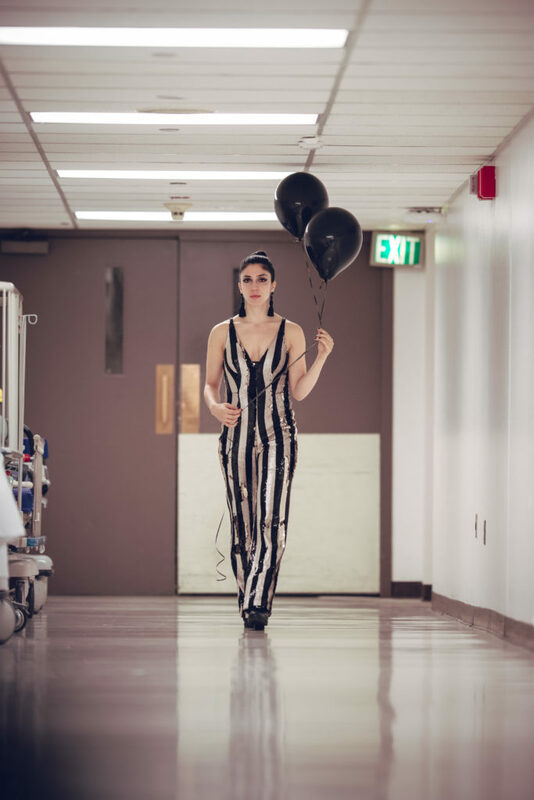 First, Do No Harm Death in the Hallway: Performer Lia Bonfilio exploring the moments before one takes their last breath and the transition after. Photo by DW Burnett.